A tin pot boils up but also cools down in a second, making it ideal for cooking and eating at a fast pace. It’s also very cheap compared to other metal alloy products. Koreans employ the term “naembi geunseong” (냄비근성) to criticise the hot-headedness and emotionality of their own people. We get emotional and all egged up about something, but as soon as it loses its novelty we forget all about it. We lose our sense of logic and rationality, and resort to ad hominem attacks. When serious crimes are reported, people take the issue (too) personally, and yell “This is wrong! Who is responsible? !” which quickly amounts to “Down with the mayor! / President! / chairperson / head of ministry in charge!” “This country is so backward, my god, we should all be ashamed to call ourselves a developed nation!” and “Korea is a bad country!”. This attitude is displayed by the people, the media, the politicians. We all boil up, and then all cool down. Then we forget. On April 16th, a ferry carrying more than 400 passengers sank off the coast of Jeju Island. The Sewol Ferry incident caused nationwide rage when it was reported that the captain and crew members abandoned ship without making any effort to rescue the passengers. The captain was caught on camera as one of the first people to be rescued by the Marine Patrol (he pretended to be a passenger), while almost 300 schoolchildren and adults died, trapped waiting for an order from the captain. People very quickly jumped to calling the captain and the crew assassins who murdered innocent children. 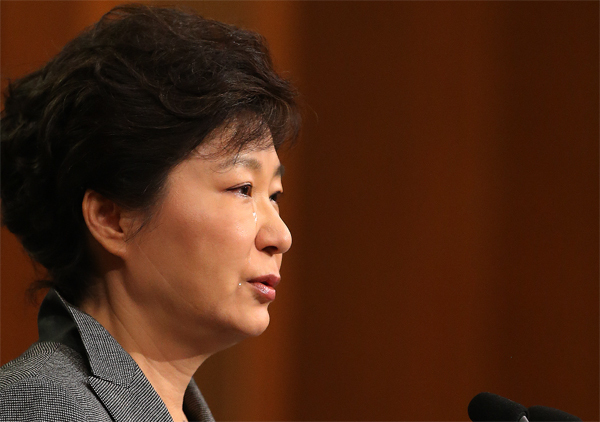 President Park Geun-hye quickly condemned the crew “murderers” at a press conference (this action was reviewed unfavourably by the foreign press). In the case of an accident on ship, the crew of a ship is responsible of making sure all the passengers leave safely before they do so (I am not sure whether this is a moral code, or an actual law). However, although the ship began sinking at 8:50, rescue efforts only began at 10:30 and were led by ships in the vicinity who responded to the 119 calling, not the government’s Marine forces. The government’s inadequate and delayed response to the accident, as well as the crew’s “immoral behaviour” were condemned by simple rage across the nation. People started calling for President Park to step down, the Prime Minister to step down (he did, on the 27th), for the Marines to take responsibility, for the crew to be sentenced. People started seeing things in a dichotomy – at one extreme, the passengers who died helping others escape as martyrs, and on the other, the government and the crew as evil. It was later discovered that the Sewol Ferry’s crew were contract workers, some of then having been on ship for only a few months. Further investigation found that the ship’s operating company, Chunghaejin Marine, was in fact owned by the Yu Byung-heon Family, a Christian cult/conzern accused of being linked to several crimes including a mass suicide/murder in 1987. The church founded by Yu Byung-heon, called ‘Saviour Sect’ (Guwonpa) has been officially denounced as a cult in Korea by the church authorities. The government’s bureaucratic and unapologetic behaviour caused anger from the families of passengers and regular citizens alike, and as of now, the Prime Minister has stepped down (April 27th), and the Marine Corps has been dissolved for incompetence. Every weekend since April, protesters are holding vigils in central Seoul calling for President Park to “take responsibility and step down”. President Park Geun-hye’s tear scene was the result of culminating personal attacks. “You’re incompetent, you did nothing to prevent the disaster or rescue the innocent people!”. From Day 1 people called for President Park’s apology. Protesters are even calling for her to stand as witness to the Sewol investigation (Channel A). I was having lunch with my friend Calculette. Since the onset of the accident she was acting like most Koreans – checking the news around the clock for over a week to see how many more had been saved, talking about how incompetent everyone involved is, even listening to the news, which she usually never does. In one sentence: she was taking this issue personally. It was even impacting her studies because she would stay up checking the news and counting. Anyway, we sat down, ordered donkatsu (pork cutlets, served with rice and soup and kimchi) and started eating. I was really hungry so I dug into my curry donkatsu. She immediately said “More dead bodies were found” and so on and so on. Then she talked about a YouTube video detailing President Park’s incompetencies and got very, very angry. It was the tone of someone saying “I got robbed in broad daylight today! Damn the #$%^@ who stole it!”. She apologised profusely throughout the rest of the meal, but it was still really uncomfortable for me. She even offered to buy desert because “looking back on it, what she did was really rude”. But I think she would have never talked to me again if I had said “You need to check your source and I don’t think Park Geun-hye is that bad”. Also note that she still was searching for a “responsible” body for the accident. The eye-for-eye mindset. This is how emotional people get. Calculette is not a crazy person. I was educated in a French middle school. I grew up in an international environment with heavy European influence (French, Dutch, German). I was a debater. I studied Political Science and International Relations. When I see a problem, I think it should be carefully and logically analysed before jumping to any conclusions. I know the media can be manipulated and that it can misinterpret sources on purpose. Yes I have emotions, but I don’t let them get to my head (which is why my very Korean mother calls me German). Koreans are not taught to debate or to consider an issue from diverse perspectives, at least not until university. Sometimes, not even then. This is an inherent problem of the multiple-choice question system. There is no need to understand the why and the how. There is only a need to understand what. Even college essays are more about what than why. People are not always taught to formulate their own opinions, but people are expected to have them. You need to memorise the difference stances on a topic, but you’re not given the space to think them up on your own. Korean education needs to change, but who hasn’t been saying that for the past three decades? Additionally, now that the Marines have been dissolved – why the hell is this a solution? Every time a new government forms after the presidential elections, the first thing they do is rename and reorganise all the ministries. So now the Ministry of Foreign Affairs and Trade is now called the Ministry of Foreign Affairs. The Ministry of Public Administration and Security is now The Ministry of Security and Public Administration. Can’t they just let the ministries be and get to work properly instead? Does everything need to be tailored to the Head of State? How is different from late Joseon, which saw purging and reorganisation of governing bodies with each King’s ascent to the throne? Isn’t this concrete proof of how unstable a democracy we still are? Tin is okay. Heating up fast means you have that much passion. But if you heat up too fast, you’ll burn up faster. Fire also burns what’s around it. You can’t build with tin, it’s too weak as a foundation. There is no way you can convince a person to build a framework for a house with that material. We need to learn to surpass tin and become better, sturdier alloys.